Microsoft has released a number of amazing apps for Android How Microsoft Took Over My Android Phone How Microsoft Took Over My Android Phone It's honestly surprising how many Microsoft apps are available for Android -- and they're really good! Read More , and they’re not planning on stopping anytime soon. If you have trouble getting out of bed in the morning, their latest app may be for you. Mimicker Alarm takes a new approach to waking you up. It’s too easy to hit the snooze button, so Mimicker requires you to play a little game before you can disable the alarm. If you can’t complete it in time, the app assumes you fell back asleep and rings again. The free app is developed by Microsoft Garage, an experimental group in the company. Thus, the games you play in the morning aren’t simple math problems like other apps, but designed to use your phone in interesting ways using their experimental technology. In one game, the app tells you to make a happy, surprised, etc. expression and analyzes how well you do it through the front-facing camera. The other two games have you hunting for a certain color or pronouncing a tongue twister. While this app won’t be for everyone, it’s certainly a neat idea and worth trying if you have trouble waking up in the morning. A bit of thinking and effort right as you wake up sets a good precedent for the day 5 Ways to Refresh Your Morning Routine and Be Happier 5 Ways to Refresh Your Morning Routine and Be Happier The first hour of the day dictates how the remaining 23 will go. Take control of your day by taking control of your morning and become a happier you. Read More , and beats hitting the snooze button five times. Plus, by the time you’ve completed the game, there’s no way you’ll accidentally fall back asleep. If this alarm clock isn’t your style, try a different annoying alarm clock for Android 3 of the Most Hilariously Annoying Alarm Clock Apps for Android 3 of the Most Hilariously Annoying Alarm Clock Apps for Android Here are some of the wackiest alarm clock apps for Android. Maybe they'll annoy you, or maybe they'll help wake you up! Read More . Do you like the idea of completing games to shut off your alarm? What are your thoughts on the app? Let us know if you’ve tried it below! Explore more about: Health, Microsoft. I developed a free alarm app too. Twenty five years ago I took my alarm clock and put it on a dresser on the far side of my bedroom. I have to get up and walk to it to shut off the alarm. I have never been late...ever...due to snoozing. I don't think I've ever hit the snooze button in my life lol! Feel free to use my app, advertisement free. I call it, "When it's time to get up...GET UP!" Microsoft has released a number of amazing apps for Android, and they’re not planning on stopping anytime soon. If you have trouble getting out of bed in the morning, their latest app may be for you. Mimicker Alarm takes a new approach to waking you up. It’s too easy to hit the snooze button, so Mimicker requires you to play a little game before you can disable the alarm. If you can’t complete it in time, the app assumes you fell back asleep and rings again. The free app is developed. 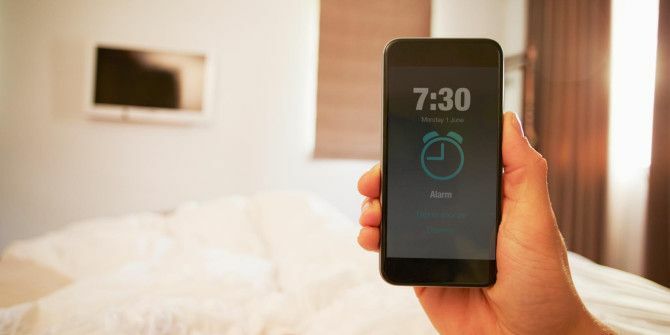 Waking up is sometimes the toughest part of the day, and if you -to get some extra minutes of sleep- are one to hit the snooze button as soon as you hear the alarm going off, this new app is for you. AlarmRun is a social alarm concept, which promises to get you out of bed by being the meanest and scariest alarm app you’ll ever use. This is not your typical alarm application, AlarmRun implements different methods in order to wake you up, the main one being that it will notify the your friends or family that you are oversleeping and that they should wake you up. Everyone wants to wake up without any difficulties, AlarmRun is here to help you out with this objective with a somewhat different strategy.